Throughout its history, LAFP has embraced the development and use of leading-edge technologies for design and documentation. 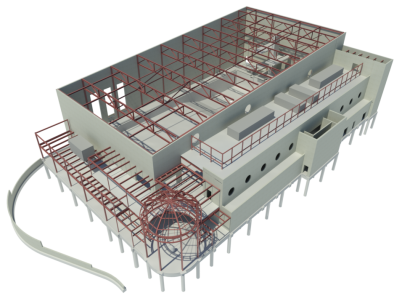 Whether it was being one of the first design firms in the Southwest to adopt CAD, or developing our own in-house structural design and production applications, we have sought, and will continue to seek ways to utilize technology to enhance the efficiency and accuracy of our work. 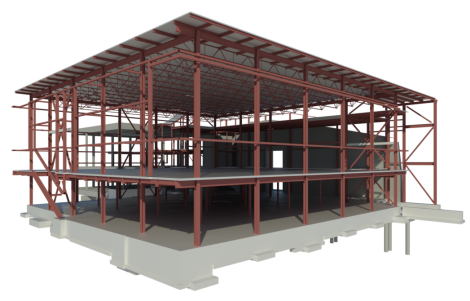 LAFP adopted BIM and began utilizing Autodesk Revit as its primary production platform in 2006. 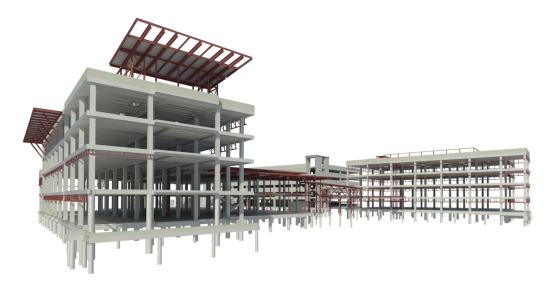 Since then, we have produced hundreds of projects in Revit and have demonstrated leading-edge Revit capabilities and a commitment to BIM technologies and workflows. Those experiences add value to our projects through models that enhance collaboration during design and streamline coordination during construction. 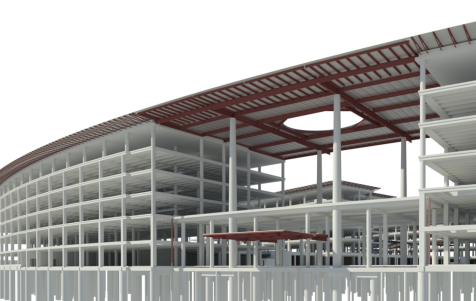 Seasoned Industry Professionals: Our staff of BIM professionals has decades of experience in the design and documentation of building structures. 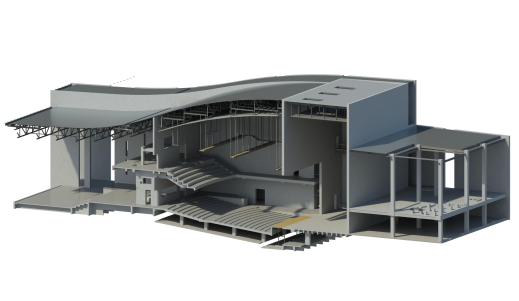 Building Design Knowledge: We leverage our backgrounds in engineering and building design and apply it to our modeling processes. Our goal is to not simply put a model together, but to partner with our clients to put a building together. 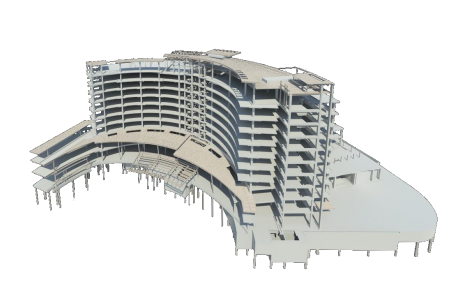 Expert-Level Modeling Abilities: Our team features industry leaders and experts in modeling and utilization of models to maximize value to a project. Proximity: Our Dallas-based team conducts all modeling in-house with no work shipped overseas. This allows us to respond on-the-fly to project changes as they arise and to work efficiently and collaboratively with our clients. 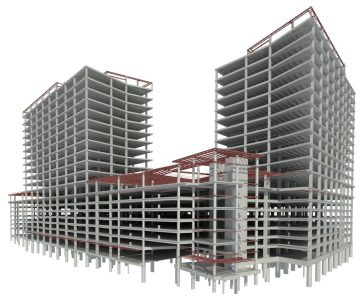 Structural concrete, including foundations, slabs, walls, columns, beams, and slabs. Void cartons under slabs and grade beams. Edge of slab layout and field use drawings. ICF wall modeling and detailing. Interior and exterior load-bearing CMU walls. Interior non load-bearing CMU walls. Exterior brick and cast stone veneer. Modeling of specially reinforced “no fly zones” in structural masonry for clash detection and MEP coordination. Modeling of control joints and MEP wall penetrations. Field use drawings showing control joint locations and wall penetration dimensions and locations. Interior and exterior metal stud walls. Interior ceilings, furrdowns, and exterior soffits. 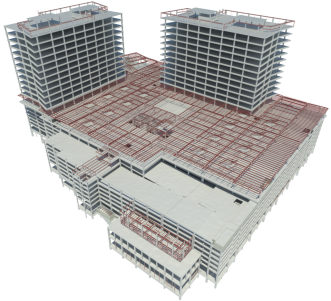 Acoustical lay-in ceiling grids modeled in 3D for overhead MEP coordination. Interior and exterior doors and windows. Interior and exterior curtainwall and storefront. King studs modeled in interior walls for MEP coordination. Metal stud kickers above ceilings to aid in overhead coordination. Metal stud wall and ceiling layout shop drawings. 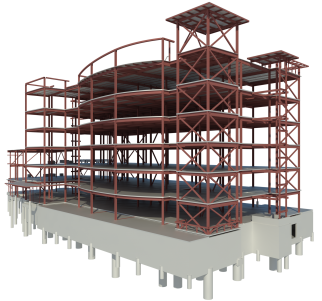 Complete metal stud framing models, should a higher LOD be required on a project. Metal stud wall blocking modeling and shop drawings.